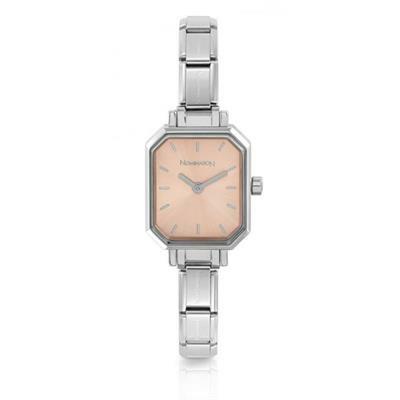 This elegant watch is an updated twist on the popular Paris design by Nomination. Made of Stainless Steel with an irridescent pink Mother of Pearl dial, this beautiful watch is the perfect personal timepiece. Customise with classic sized Nomination links.